2017 started incredibly strong with the addition of the #154 error to the Manufacturing Error Figures archive. Frankly, I didn’t expect anything could top this error. When Jesse first shared his picture of the #73 error I doubted its authenticity. 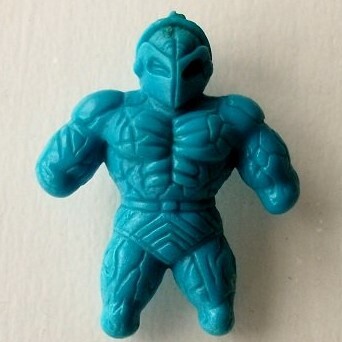 A M.U.S.C.L.E. figure with that much flashing had never been documented. The only figures that ever featured that much flashing were poorly made counterfeit figures. Jesse believed it was an authentic M.U.S.C.L.E., but he wasn’t 100% sure – and he wanted to be 100% sure. 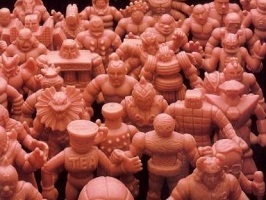 He sent the figure to Dr. M.U.S.C.L.E.’s research lab. Even when the package was opened, the figure still looked completely unbelievable. But as soon as I felt the figure there was no question about its authenticity. 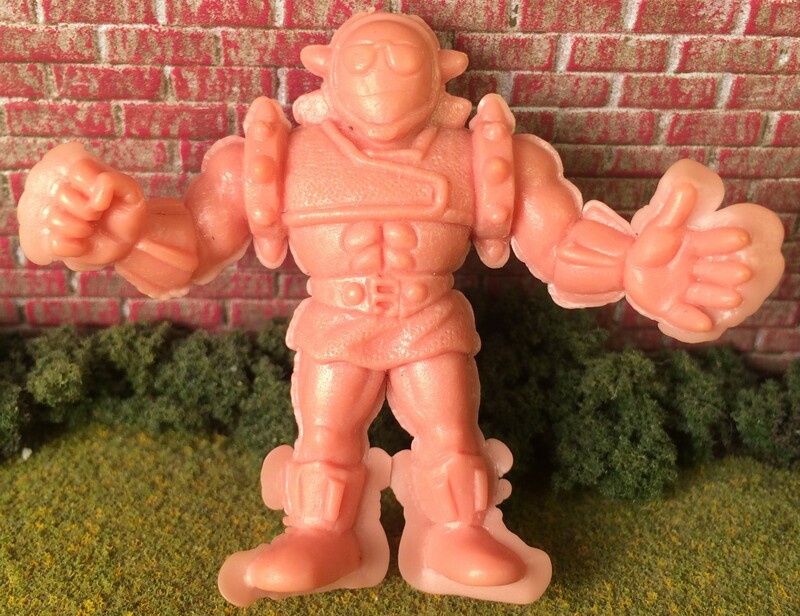 Beyond a shadow of a doubt – this figure is cast in M.U.S.C.L.E. plastic. This figure is truly amazing for three reasons: (1) the sheer amount of flashing; (2) that the figure made it through quality control; and (3) the fact that all of the flashing survived childhood. I can’t believe the original child owner didn’t try to break/cut all of the flashing from the figure. Is #73 The Greatest Error Figure Ever? What do other collectors think? Is this the greatest error ever? Do you have an error to share? Pictures of Warped and Manufacturing Error figures are always being accepted. Please send any pictures and a brief explanation to uofmuscle@gmail.com. This entry was posted on Wednesday, March 1st, 2017 and is filed under Research, UofM News. You can follow any responses to this entry through RSS 2.0. You can skip to the end and leave a response. Pinging is currently not allowed. That is a really neat error figure. That’s an excellent find! As a child I don’t think I would have left the flashing intact like that.